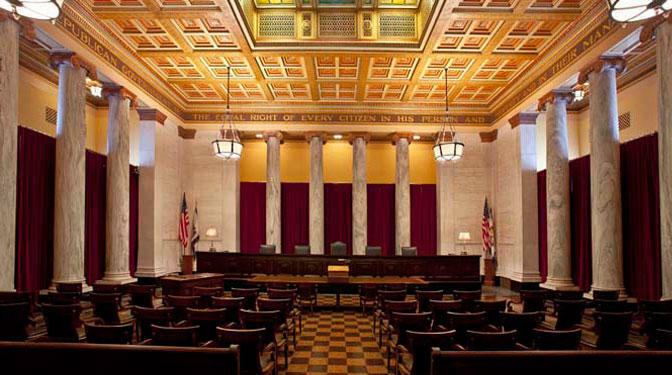 Candidates interested in seeking an unexpired term on the West Virginia Supreme Court can file next month for a special election. Secretary of State Mac Warner says the filing dates for the seat of former Justice Menis Ketchum will run from Aug. 6 through Aug. 21. The special election will be held concurrently with the Nov. 6 general election. Candidates must be at least 30 years old, residents of West Virginia for at least five years and admitted to practice law for at least 10 years. Warner's office says in a news release that interested candidates who already are on a partisan ballot for elected office should consult the Judicial Investigation Commission. Ketchum announced his retirement earlier this month. He had two years remaining in his term.